he METALLUS metal construction sets build up one on the other. All parts of a construction set are contained by the next bigger one. Their content is aligned to the former Märklin© construction sets series 1009 to 1015. All model books of this series can be used further on. 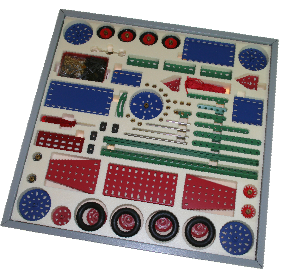 The small sets provide the optimal introduction for newcomers and metal construction interested people. 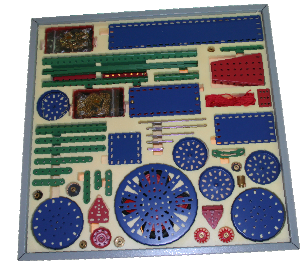 Reams of small models can be realised with these kind of sets. Try it yourself!